When it comes to both fashion and travel the French always hold our heart. 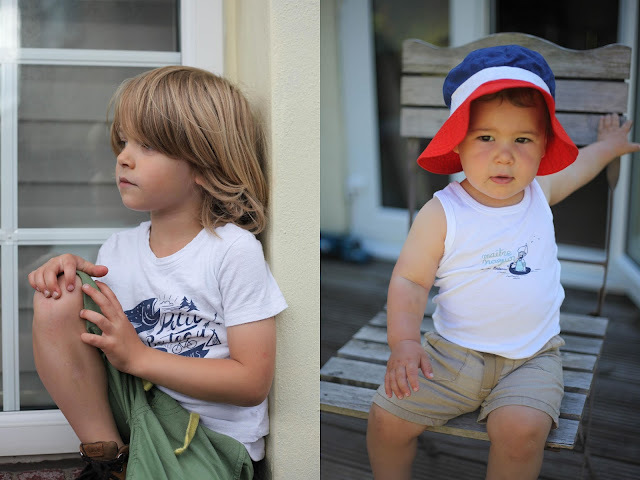 Both boys had some very cute Petit Bateau sleep suits when they were small and if you ope up their wardrobes the thing you will probably notice first is how many striped Breton style t-shirts they both have. 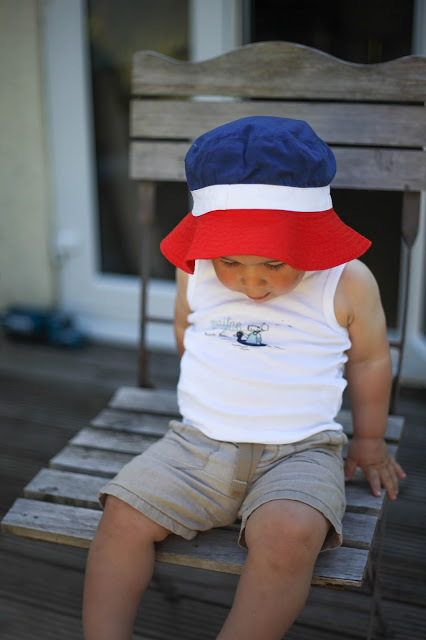 So when long established French brand Petit Bateau got in touch to ask if we would like to review their summer collection it really was a perfect fit. We decided not to go with the classic strips but rather some cute printed tees and a lovely three tone summer hat which has seen a fair bit of use this year. First Baby G I picked a vest top, a first for him and I did wonder if we would get the chance to wear it as summers in the UK are so hit and miss but on our recent trip to the Isles of Scilly and the mini heat wave we experienced in Wales a few weeks back meant it's seen a fair bit of action. 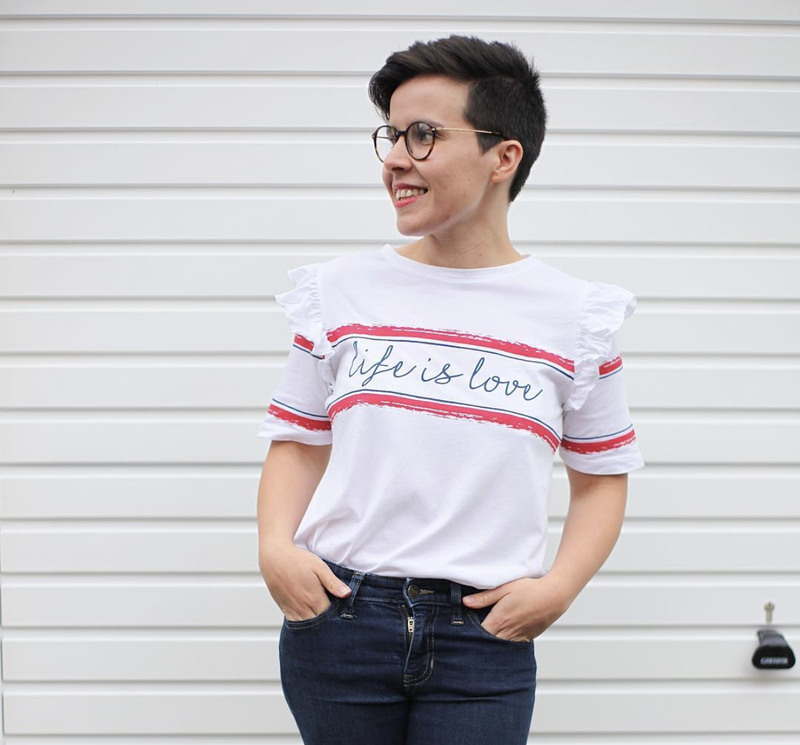 I love the small and subtle print although I probably should of gone up a size as their clothes are on the small side of kids sizing which is not a bad thing but to get as much as you can out of these cute clothes opt for a size up. Mr A helped choose his t-shirt which has an outdoor inspired camping print and is perfect for a nature loving boy, especially in summertime. Also I never knew that Petit Bateau did adults clothing and I know I will be picking up one or two Breton jumpers for myself this Autumn and if your looking for something a little fun that captures that european style than do check out Petit Bateau new AW collection. We were kindly PR samples in exchange for an honest review. 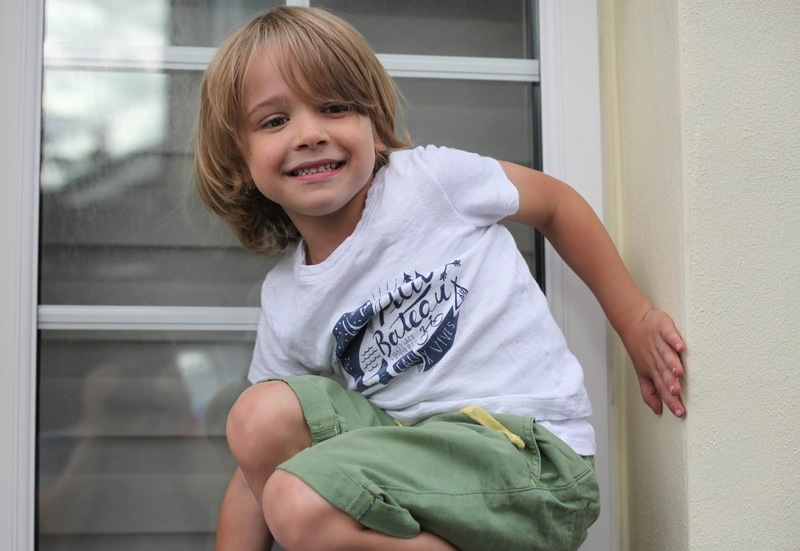 I love Petit Bateau and agnes b. kids ranges. So cute! Aww your boys are so cute Laura! Cute clothes! I love Petit Bateau. Oooh, wonder what age they go up to, if too small for my 7yo will check out for my nephews, your boys are so cute! Such cute prints! Perfect for a holiday. Oh so cute, must take a look at the site. I could nnot refrain from commenting. Exceptionally well written! Very good info. Lcky me I recently found your site by chance (stumbleupon). I have saved it forr later! certainly digg it and personally recommend too my friends. I'm confident they will be benefited from this website. Keeep on working, great job! Wow, superb blog format! How lengthy have you been runninng a blog for? you make blogging look easy. The overall look of your site is wonderful, let alone the conten material!